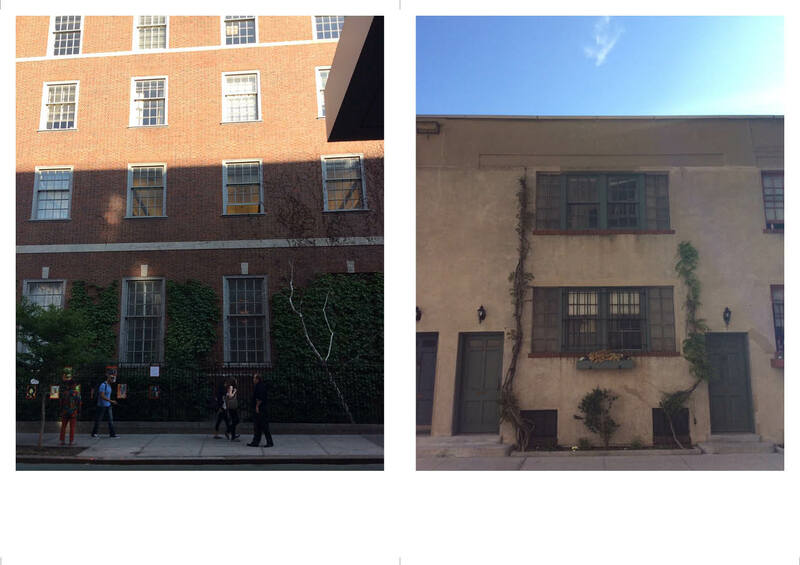 accidental facades – archiving the unusual facades of the unspectacular buildings in New York City. 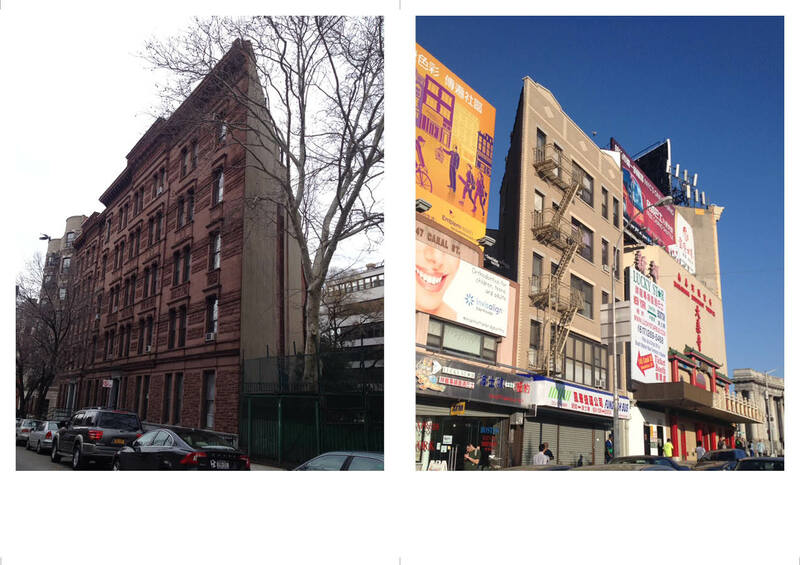 archiving the unusual facades of the unspectacular buildings in New York City. Vines either becomes “green walls” that completes the cladding on the elevation or casually swirl up on the wall and gains monumentality to the leewall. Before being re-purposed as a mechanical room in the park, the filled-up arches(also look like being trashed in this photo) suggests the house’s glorious past as a clubhouse. 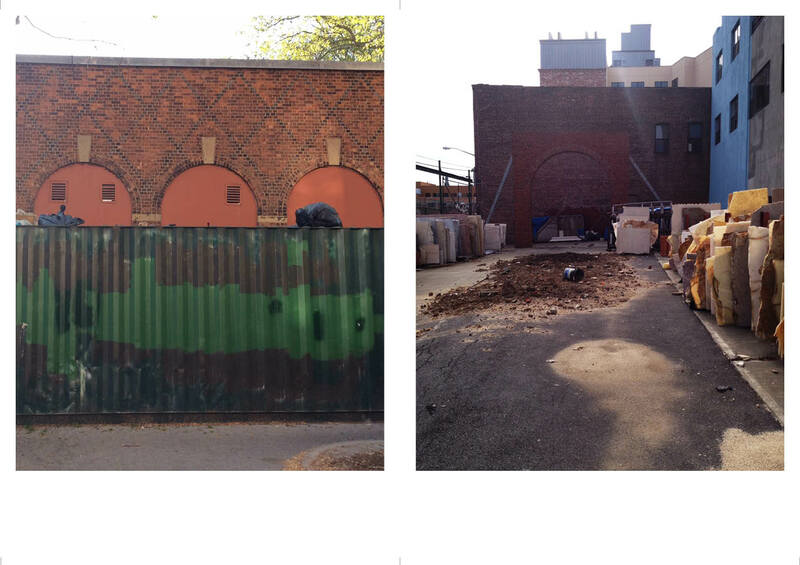 On another place in Williamsburg, an arch stands in the middle of the lot, being a piece of free-standing facade. 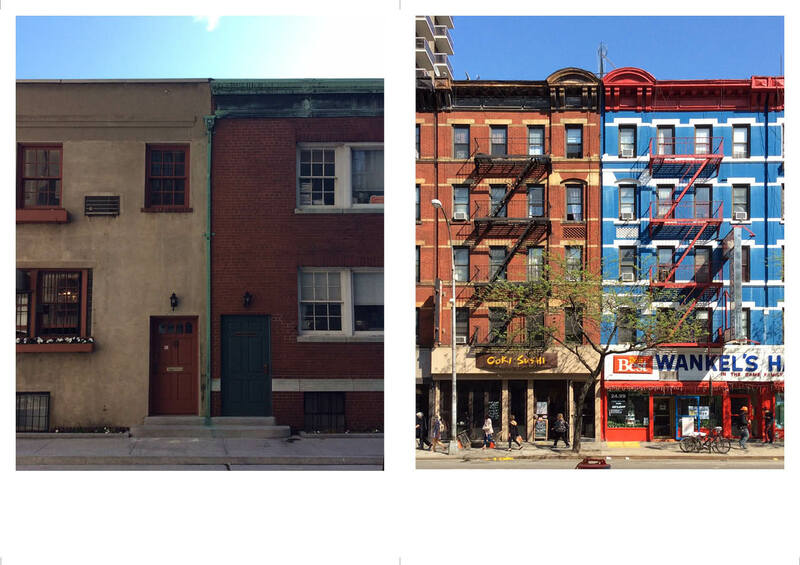 The volume of two buildings are, to the most extent, separated by distinct color schemes. Sometimes the color palette of the building is determined by the store at its gound floor. When a building lot has an acute angle, the silhouette of the geometry wins character of the building.